Coming to the desert in the summer is not a lot of people’s idea of a good time. But when you live in Vancouver and have been suffering with the June-uary cold and rains, the heat is something that’s craveable. I’ve been to Phoenix quite a few times, mainly for Spring training, and while I’ve had good meals here, I wouldn’t necessarily call it a food lover’s destination. But I’m here for the sun, anything else is bonus. 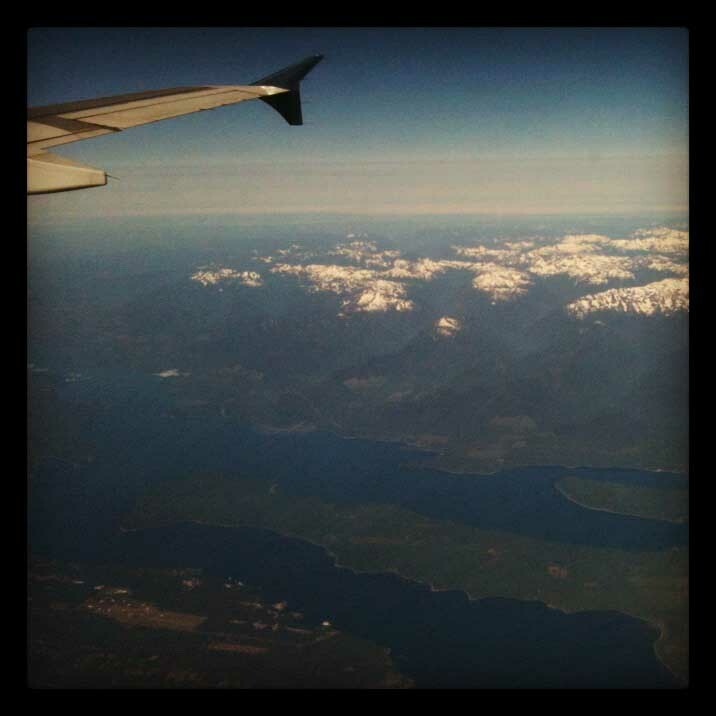 8:00am – Leaving on a somewhat dreary morning, I marveled at how gorgeous the aerial view of the Pacific Northwest is. Snowy mountains & lush green from all the rain. I love the Pacific Northwest’s beauty but I’m seeking some heat. 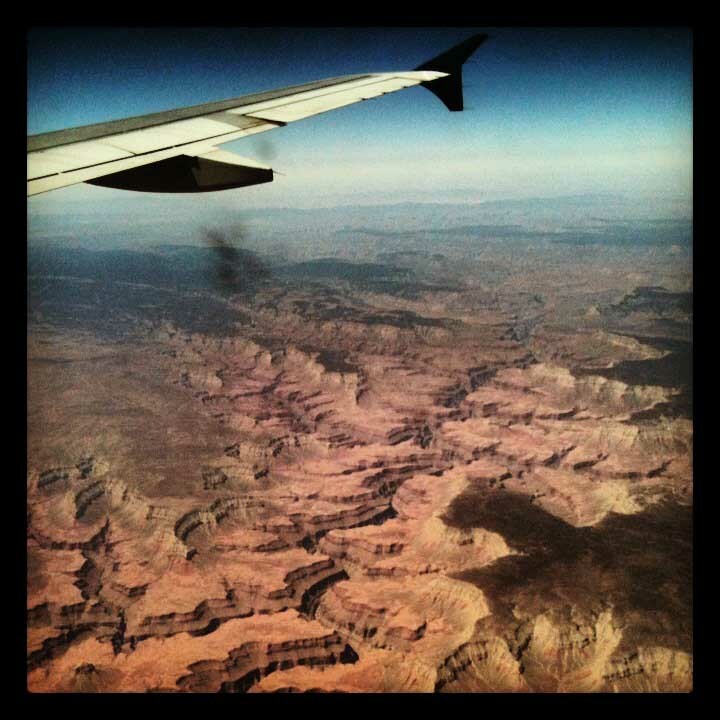 I chose a window seat knowing we’d fly over the Grand Canyon so I could get a good look below. Just by looking outside, I knew it was HOT out there. 10:30am – PHX was already a comfortable 35°C (or 95ºF if that’s how you think). I quickly swapped my pants for shorts and bundled my jacket to the bottom of my bag knowing I wouldn’t need it again until I left. 11:15am – Getting my car was easy and I was off to speed along the highways of greater Phoenix. I envisioned myself eating something light and healthy for lunch, instead, I ended up somewhere much better. 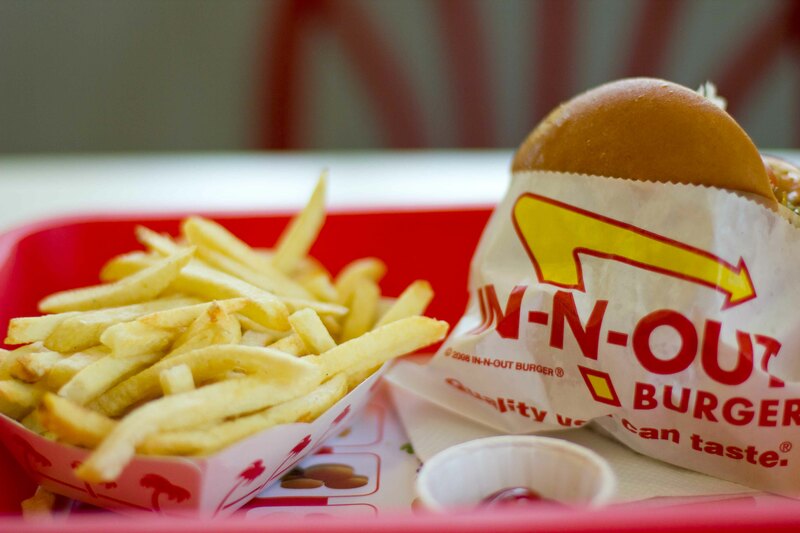 I’m a big fan of In N Out burger thanks to my big sister Rochelle. 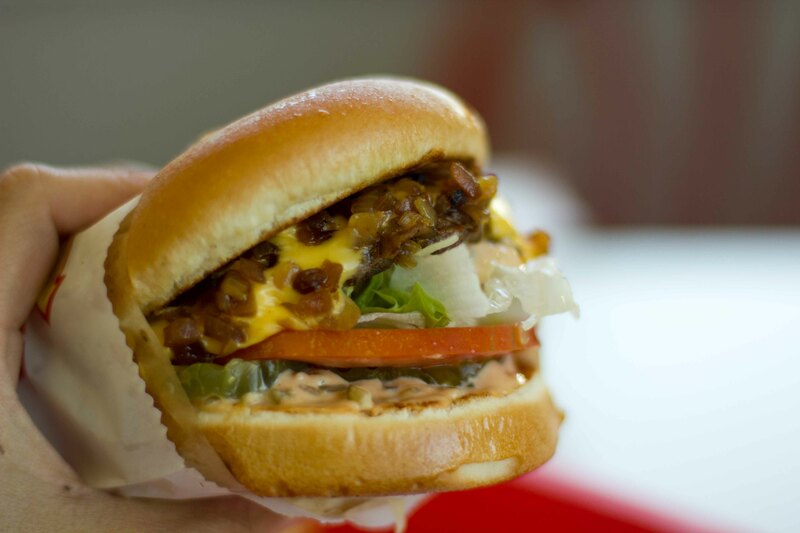 What I only recently discovered was their “secret menu”. Animal-style with the cheese laid on top of the onions on the grill and the mustard grilled into the patty. This is the burger I crave at home when I say I want a burger only to be disappointed that what I get isn’t what I’m craving. With lunch conquered, I made my way to the lovely Saguaro hotel where I would hunker down for the day. 4:00pm – I thought that both the restaurants at the hotel were offering Happy Hour specials but found out it was only Distrito offering HH and not the Old Town Whiskey bar where I was relaxing. I’m glad stayed as I had a surprisingly flavorful dish. 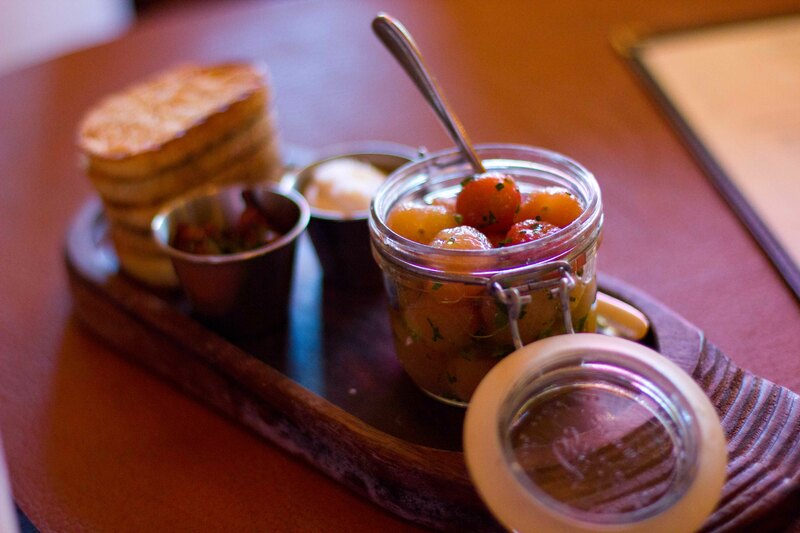 I was curious about the pickled cauliflower but was talked into the pickled cherry tomatoes. I’m glad, these were amazing. 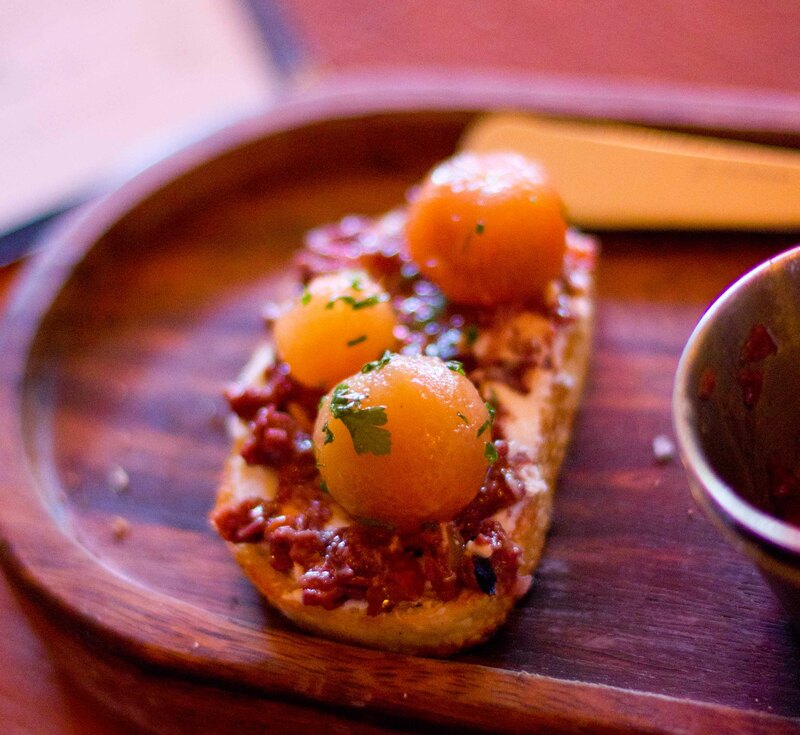 Sweet and sour pickled tomatoes on top of crostini spread with ricotta and tapenade. This bite was simple yet so unique it made me happy to know that eating can still WOW me after my trip to Barcelona, otherwise known as “Life After Adria”. Unfortunately, the my drink wasn’t as good as I’d hoped it would be. 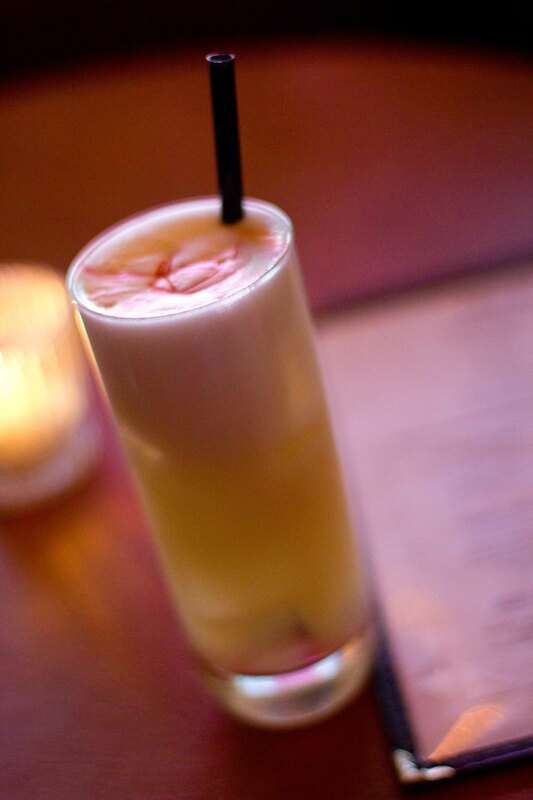 I recently decided that I like whiskey sours after sampling some good ones Ben’s had recently. This was the first I’ve ordered one for myself and it wasn’t very good. Too sour and not richly whiskey enough. Luckily, my first drink at the Saguaro’s other restaurant made up for it. 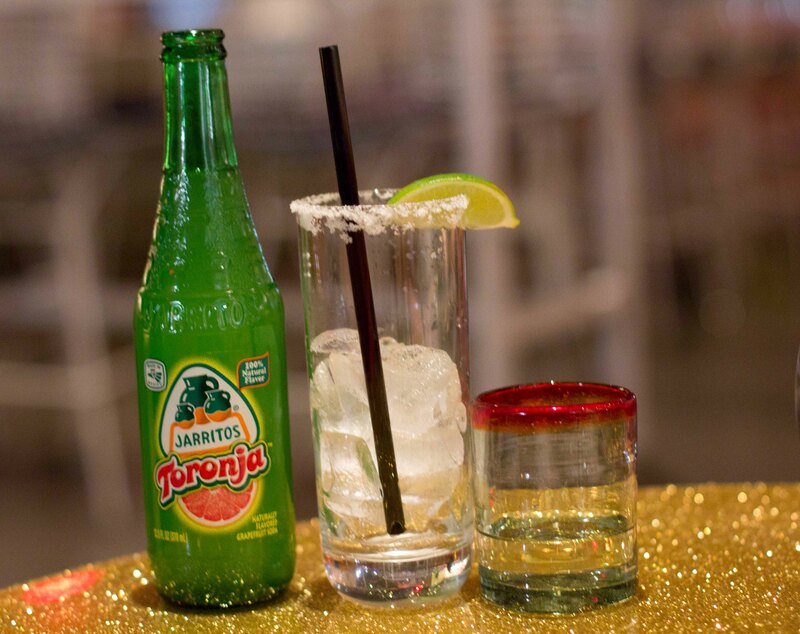 The Paloma = a shot of tequila + a bottle of grapefruit soda + a salt-rimmed glass. 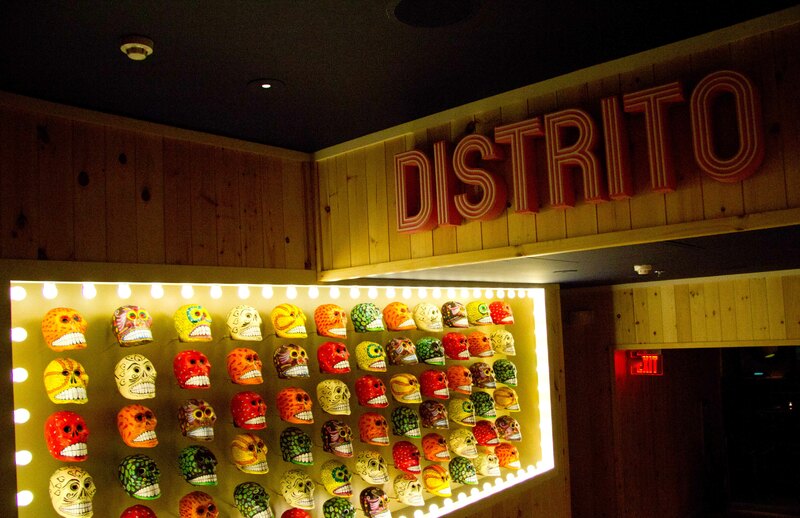 Distrito is Iron Chef Jose Garces’ Mexican restaurant, (Old Town Whiskey is Garces’ as well). I knew I was scheduled to have a lot of Mexican on this trip, but I was ok with that. We started with some chips and salsa which is a weakness of mine. Put a warm bread basket in front of me and I can ignore it. 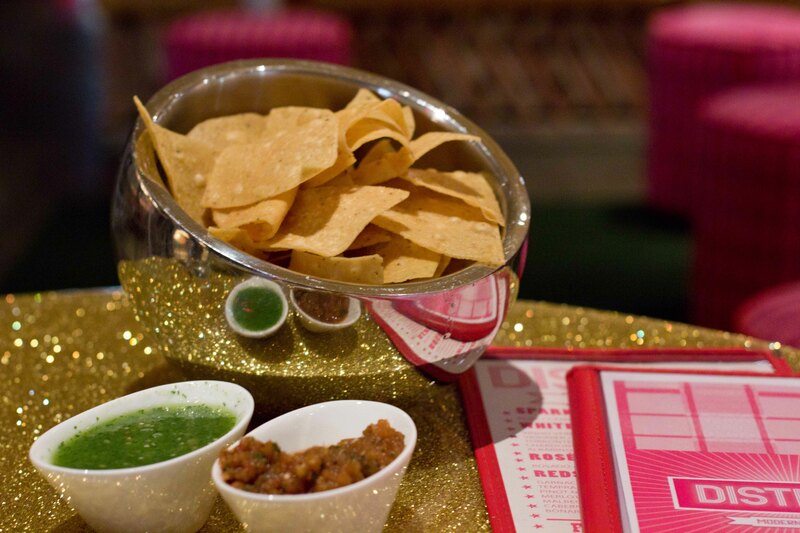 A basket of chips, especially when combined with some pico de gallo? Well, I really don’t need much more to eat. I was in a group so I didn’t feel comfortable holding people up to take photos. I did take shots of the dishes closest to me. 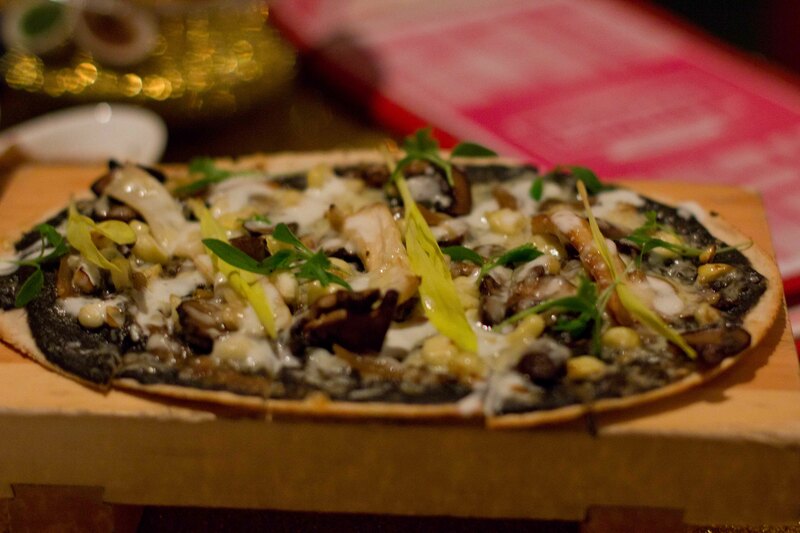 Huarache de Hongos = mushrooms + cheese + corn shoots + truffles. My verdict on Distrito? Not my favorite new-style Mexican in Scottsdale. 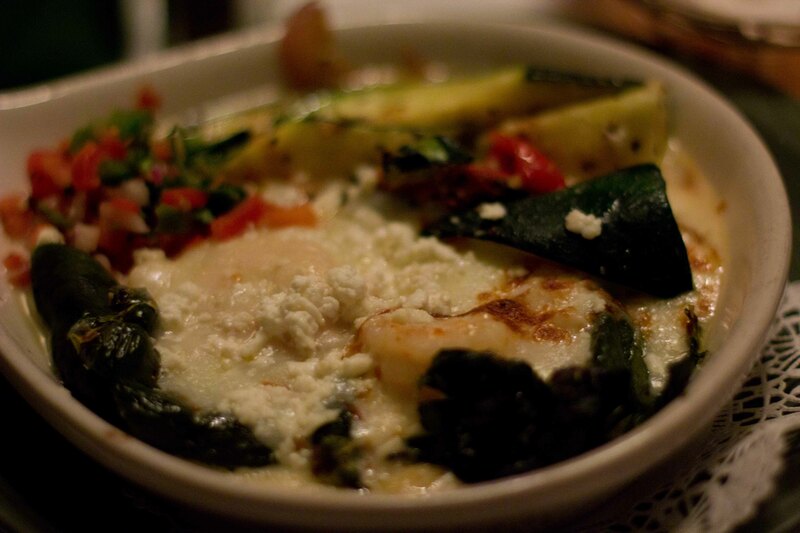 If you are craving this style of food, go to the Mission instead. 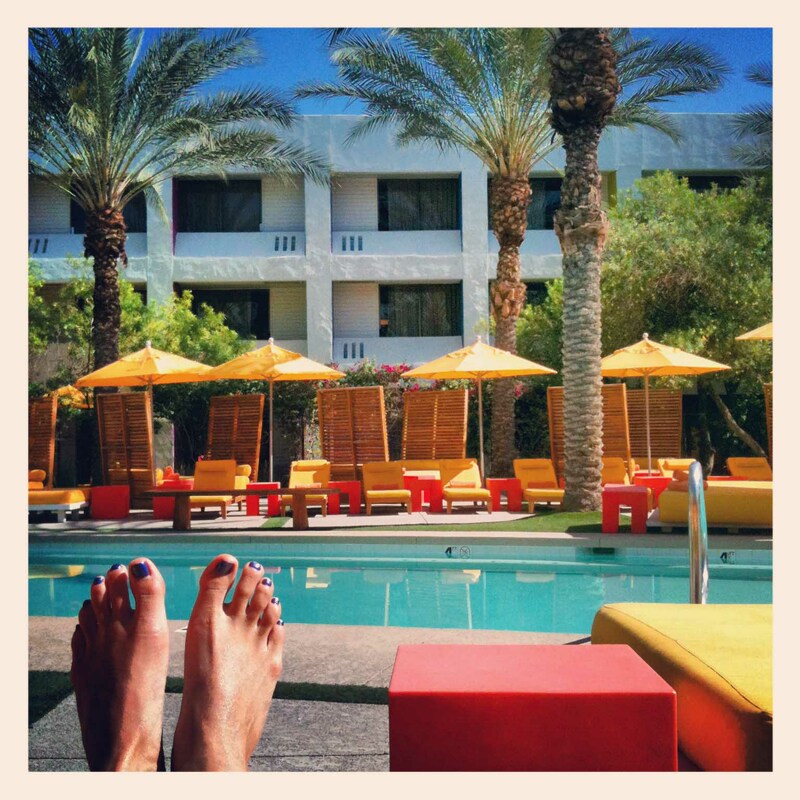 8:00am – As part of the summer special at the Saguaro, breakfast is included with your stay. I was expecting stale pastries and cartons of Yoplait yogurt, instead I was greeted with a wonderful spread at the buffet. Tender scrambled eggs, homemade sausage, crispy bacon. Mmm mmm! The vanilla yogurt parfait topped with granola which I topped with fruit salad should have been enough for me, but I just had to go back for more crispy bacon. 12:00pm – After a few more hours of pool time, I packed and checked out. I still believe it’s cheeky of hotels to charge you a resort fee, but at least I felt like I got something out of the extra charges here. 1:30pm – While I’ve been researching this trip, a restaurant kept coming up. FnB is being recognized as a new leader in farm/local cuisine. Looking at the menu, it was the first time in a while a non-Mexican, Scottsdale restaurant has peaked my interest. We secured our reservations, but I was curious. And I’d seen that they had a little cafe as well, I wanted to check it out for lunch. 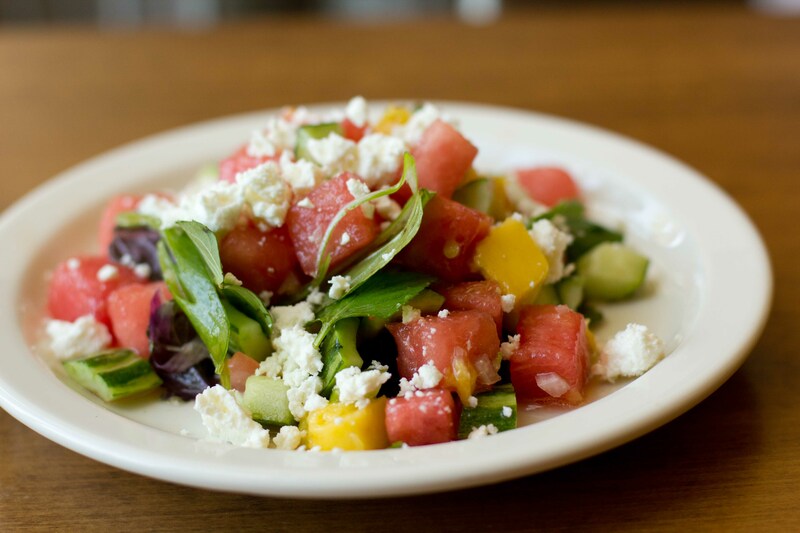 Watermelon, cucumber, mango, onion, feta, chili salt & lime. 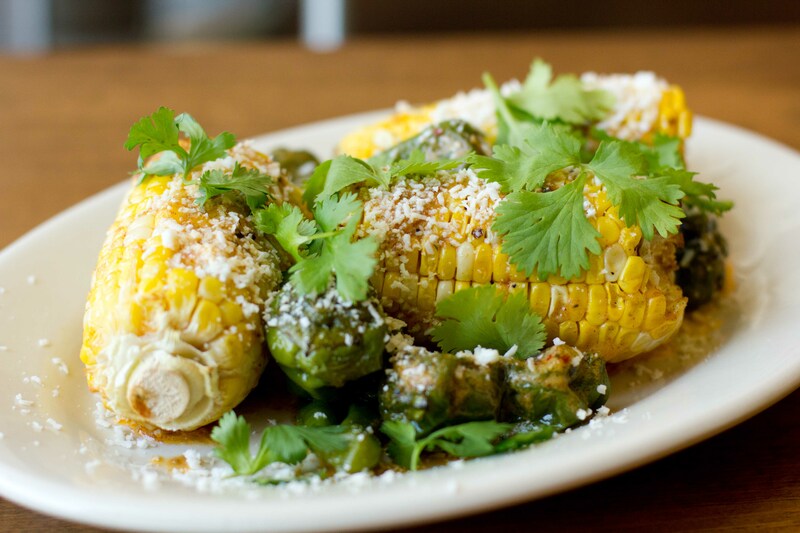 Corn on the cob, padrons, cotija cheese, pimenton butter. 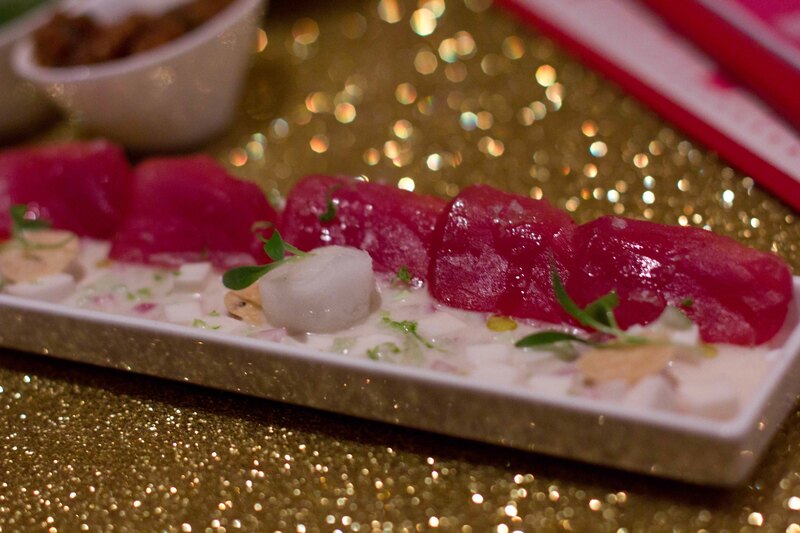 Yes, the food tasted as good as it looks and I’m so excited for my meal at FnB. 4:00pm – checked in to the Firesky Resort. While I enjoyed my short stay at the Saguaro, I’m happy that the Firesky is where I’ll be laying my head for the next 3 nights. I am a big fan of the Kimptom brand of hotels and this one exceeded my expectations of a Kimpton. 5:00pm – Great perk at Kimpton Hotels, the evening wine hour where you can enjoy a glass of wine on the house. 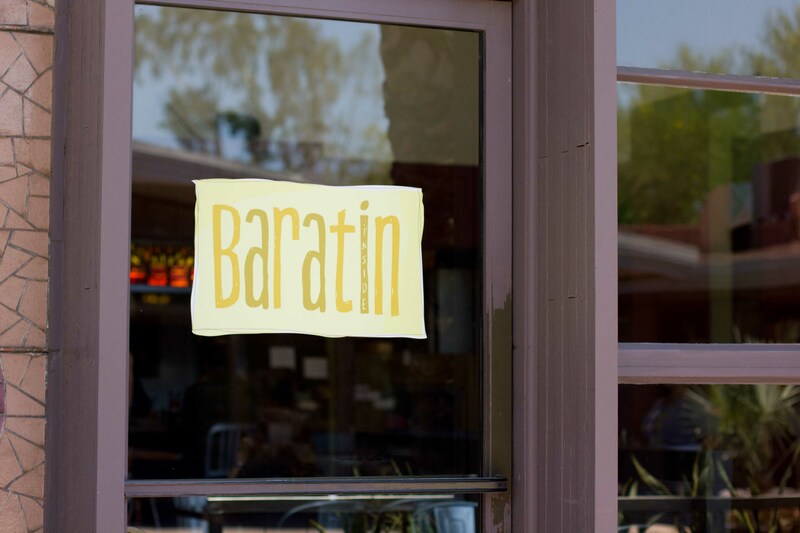 7:30pm – The Barrio Cafe isn’t conveniently located to anything but is worth the drive. 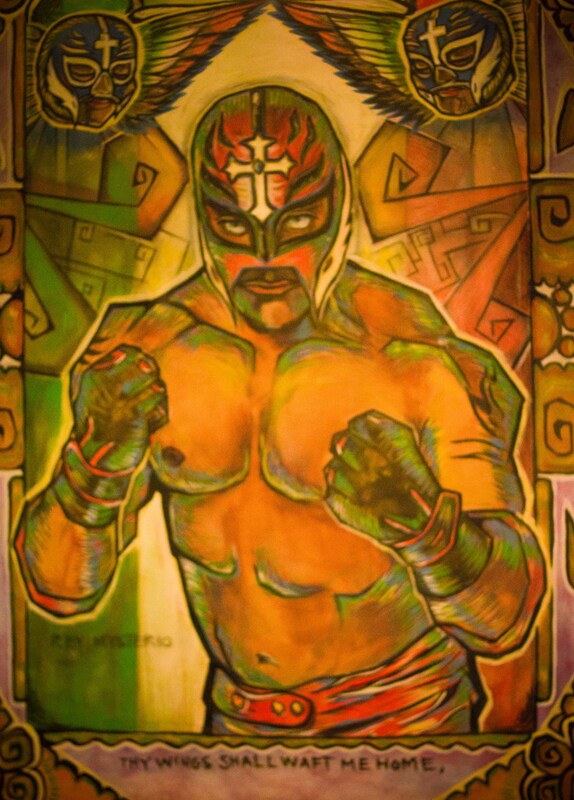 The area outside Barrio Cafe has great street art (graffiti) whose theme is carried on inside. On my last visit, I enjoyed Chile de Nogada, a dish I’d never seen outside of Oaxaca. 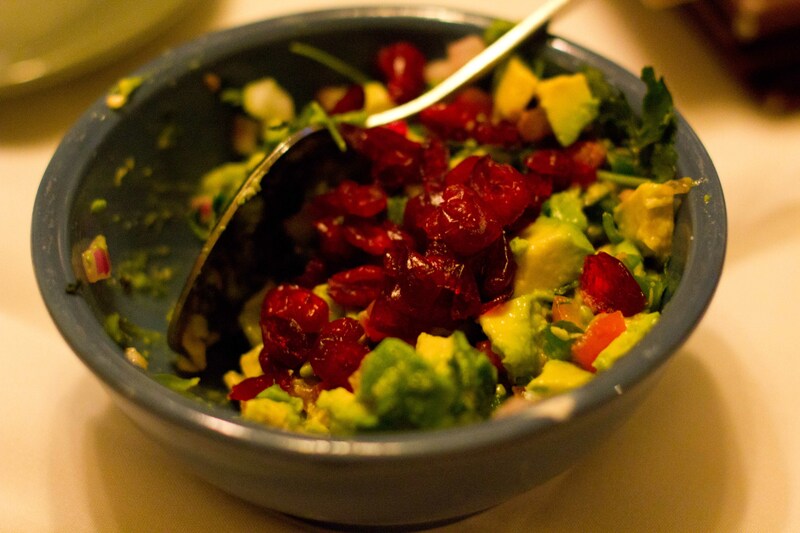 On this visit, of course we had to start with the table-side guacamole. Made with pomegranate when in season, when not it’s substituted with craisins. No matter, it still delicious. I was torn what to order because I wanted so many things. Ben was more predictable with his choice. I ordered chile rellenos. I’ve only ever had them battered and fried, this wasn’t but was filled with scallops, prawns and cheese and was so delicious. 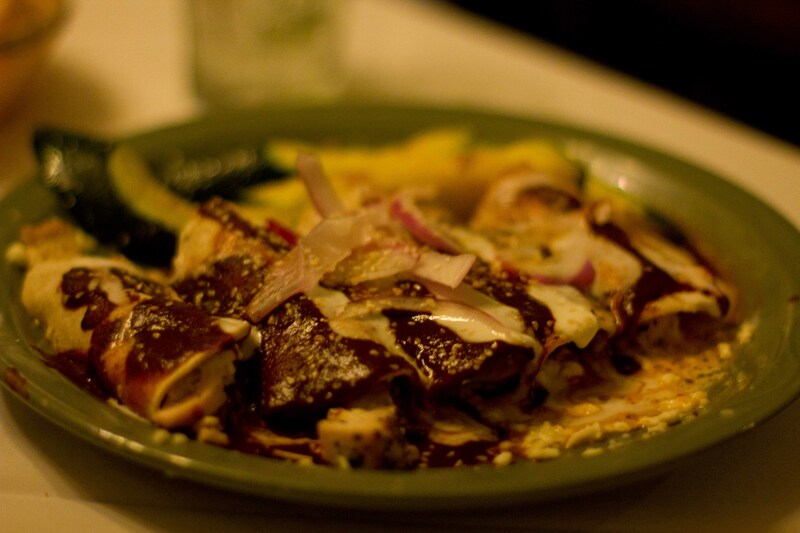 Ben loves chicken enchiladas, I’m only okay with it, but the mole sauce is definitely the star here. 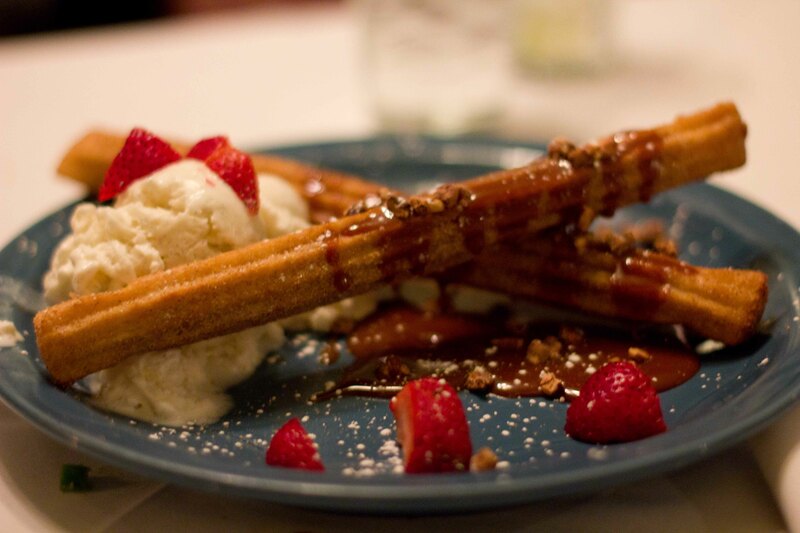 Ben’s business partner Ross loves churros, so for him we “forced” ourselves to share this plate with him. 10:00pm – back to the hotel for a nice sleep. Happy in the knowledge that I have another 2 days of extreme heat and (hopefully) inspired dining.